Join local historian Alex Mettler for an illustrated talk on the history of The Bedford Hotel, and an exclusive guided tour of the hotel and its associated buildings to uncover some of the hotel's little-known secrets. As early as 1719 an inn under the name of the Duke’s Arms was opened in Tavistock by a John Smith. Little is known of John Smith’s enterprise but by 1741 the Duke’s Arms was established west of today’s Court Gate. In 1821 the then mine host, Ann Skinner, died and the opportunity was taken by the Bedford Estate to upgrade the establishment. The early Duke’s Arms was demolished and the renowned English architect Jeffry Wyatt (later to become known as Sir Jeffry Wyatville, architect to the King) was engaged to establish The Bedford Hotel from Jacob Sanders’ Abbey House which was built in 1725. The new hotel opened in 1822 and has traded continuously on that site for some 200 years. 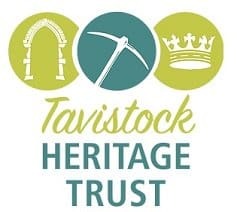 This fascinating illustrated talk and exclusive guided tour by Alex Mettler, in association with Tavistock Heritage Trust, will be followed by a delicious two-course lunch. As this tour includes stairs and behind-the-scenes areas, a good level of mobility is needed. We will request full payment at the time of booking.